One challenge associated with building a distributed relational database (RDBMS) is that they require notable effort to deploy and operate. To remove these operational barriers, we had been thinking about offering Citus as a managed database for a long time. Naturally, we were also worried that providing a native database offering on AWS could split our startup’s focus and take up significant engineering resources. (Honestly, if the founding engineers of the Heroku PostgreSQL team didn’t join Citus, we might have decided to wait on this.) Since making Citus Cloud publicly available, we are now more bullish on the cloud then ever. It turns out that targeting an important use case for your customers and delivering it to them in a way that removes their pain points, matters more than anything else. In this article, we’ll only focus on removing operational pain points and not on use cases: Why is cloud changing the way databases are delivered to customers? 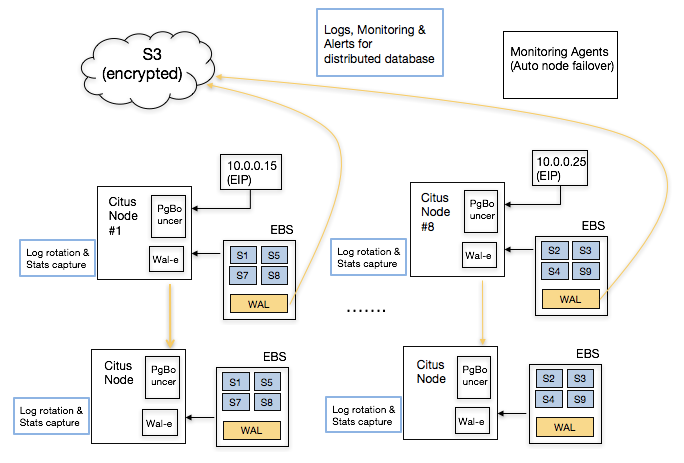 What AWS technologies Citus Cloud is using to enable that in a unique way? The following sections highlight our learnings from talking to hundreds of prospective customers. Early on, we thought that our customers were asking for something that was more magical than attainable – Citus should handle failovers in a way that’s transparent to the application, elastically scale up and scale out, take automatic backups for disaster recovery, have monitoring and alarms built in, and provide patches and upgrades with no downtime. We then started breaking down each customer conversation into smaller pieces and found that our customers had seven operational pain points. In the following, we’re going to talk about each one of these seven points as a mini-learning. 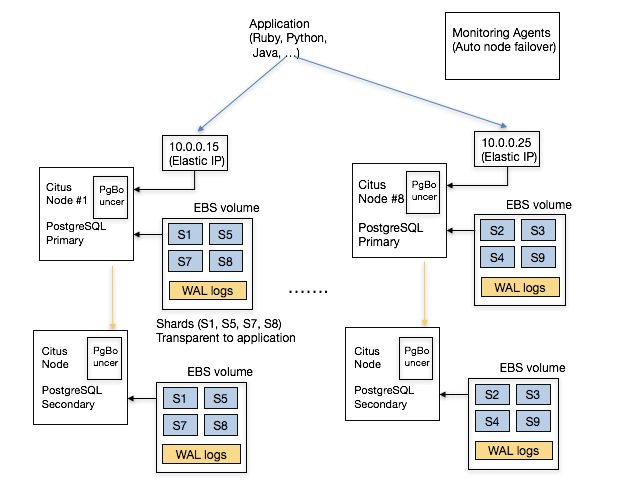 Although we describe these learnings in the context of PostgreSQL, Citus, and AWS, they are also applicable to other databases and cloud vendors. Since Citus is an extension to PostgreSQL (not a fork), it makes sense to start with a pain most PostgreSQL users have. 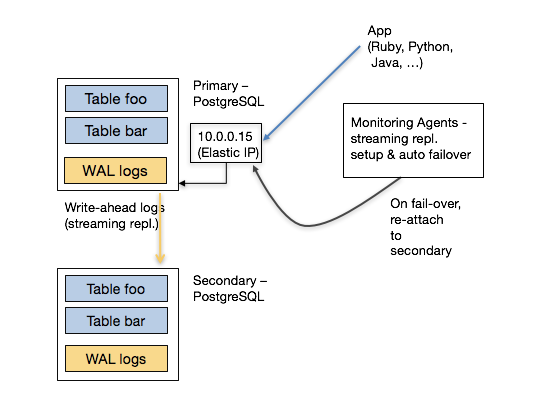 PostgreSQL provides streaming replication as a way to provide high availability since its v9.0 release. 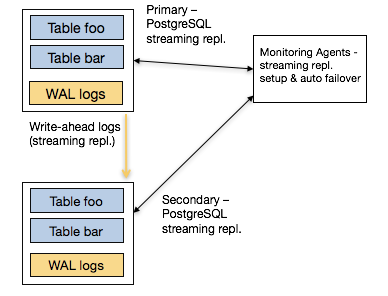 Streaming replication works by designating one PostgreSQL instance as the primary node. The primary node takes all writes and executes all changes against the database. It then ships those changes to one or more secondary nodes for them to apply. When you talk to users who use streaming replication in production, they express two pain points with it. The first is the complexity associated with it: it takes twelve steps to setup streaming replication, and you may also need to understand concepts such as the number of wal segments and replication lag in the process. The second and more important one relates to auto failover. If the primary node fails, how do you detect the failure and promote a secondary to be the new primary? (In distributed systems, this is also known as the leader election problem.) To enable this, you need a monitoring component that watches the primary and secondary nodes and reliably initiates their failovers. A common way to do that is through integrating PostgreSQL streaming replication with a distributed synchronization solution such as etcd or ZooKeeper. In fact, open source solutions such as Governor and Patroni aim to do just that. That said, this integration again comes with a complexity cost. You now need to have someone in your organization who understands these systems – so that you can resolve any issues should they come up in production. 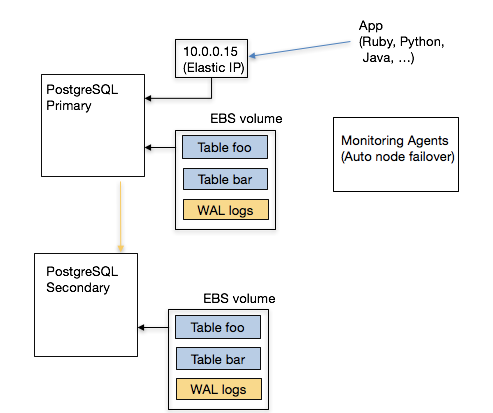 PostgreSQL has a massive ecosystem that supports many programming languages and frameworks. And most PostgreSQL clients don’t have a mechanism to automatically retry different endpoints in case of a failure. This either means that the user would need to implement this logic into their application or the underlying database provides it for them. Fortunately, AWS provides powerful software defined networking (SDN) primitives. You can therefore start by attaching an elastic IP to the primary node. When your monitoring agent promotes a new secondary, you can detach this elastic IP from the old primary and attach it to the newly promoted machine. This way, the application doesn’t need to change the endpoint it talks to – it happens magically. Having a powerful SDN stack also helps with consistency. When the monitoring agent decides to failover the primary node, it can ask the networking layer to no longer send traffic to the old primary. This is also known as fencing – making sure that you disabled the old primary for all clients so that your data doesn’t diverge. Another feature request that we hear from customers is vertical scalability. For example, you may want to instantly scale up CPU and memory resources on your database before you scale out. 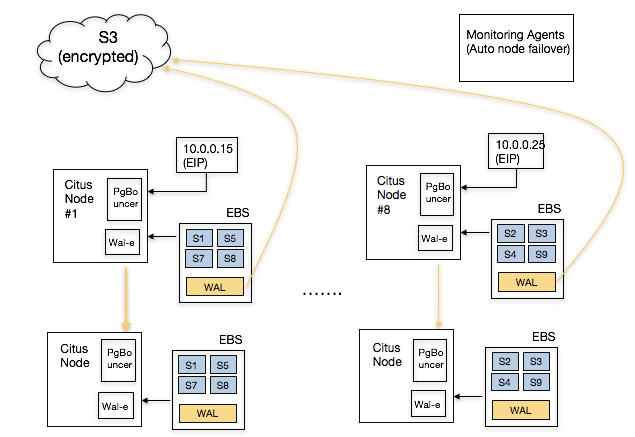 AWS’ Elastic Block Storage (EBS) enables you to quickly detach from one EC2 instance and attach to another instance that has more resources. EBS also provides security and availability benefits. When an EC2 instance observes a temporary failure, one for example requires an instance restart, you don’t have any guarantees on whether you will get the same instance back (or someone else will). With an EBS volume, you can encrypt the data at rest and securely wipe out an EBS volume before terminating it. One known drawback to attaching storage over the network, instead of using your local storage, is performance. If your working set doesn’t fit into memory, your database will pay the penalty of constantly fetching data over the network. Further, as your business grows, your expectations from the underlying database will continue to increase. In that case, you will need your database to scale out. Data modeling: When you’re modeling your data for a distributed environment, you need to pick the right sharding keys for your tables for example. 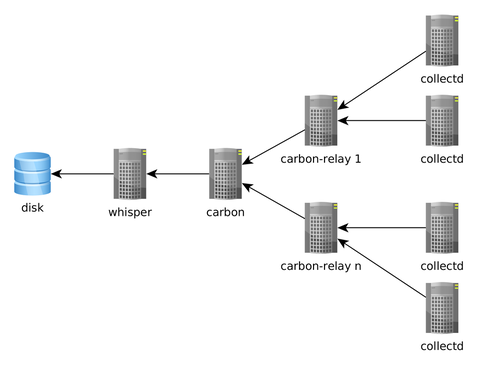 Operational: You need to set up multiple instances and the networking layer between them. More importantly, you need to have an understanding of load management and networking so that you can take the right action. Running your database on the cloud removes significant operational burden associated with deploying a distributed RDBMS. In particular, Citus Cloud can differentiate between temporary and permanent failures by tracking historical networking data. It can also deprovision faulty instances and start up new ones in their place, without any involvement from the user. Further, if your database needs to more power, you can elastically add more machines to your cluster. Other operational benefits show themselves with high read/write throughputs. For example, you may need your application to talk to multiple endpoints instead of just one. In this case, Citus Cloud can set up DNS in front of your database instances and configure PgBouncer to make sure that your distributed database stays within reasonable connection limits. The following shows a simplified architecture diagram. If your relational database powers your core business, and acts as your system of record, you need to take regular backups and store those backups in a highly durable location. This way, when the unexpected happens, you can resume your business and not lose it. Therefore, an integrated solution for disaster recovery is among the top feature requests prospective Citus customers ask for. The thing about database backups is that they are hard to get right. Fortunately, PostgreSQL has a rich ecosystem and comes with open source technologies for automatic backups. For example, wal-e encrypts and continuously archives your data to a durable storage service, such as S3. In other words, wal-e make sure that your backup solution does the right thing, and cloud service providers make sure that your backups don’t get lost. For Citus backups, wal-e helps with part of the picture. Taking distributed database backups are even harder. In this case, it helps when the author of wal-e also happens to be part of the Citus Cloud team. This way, when you deploy a Citus Cloud formation, we can automatically set up regular backups for your distributed database. An important part of running a relational database in production includes monitoring your database, alerting on anomalies, and setting up a unified logging infrastructure. This seems simple at first, but setting up this infrastructure usually takes time to set up and operate. At a minimum, you need to decide on the type of metrics you’d like to track. Some common ones include hardware metrics (such as CPU, memory, network), OS level statistics (VM, RSS, page faults), PostgreSQL metrics (pg_stat views, table and index hit ratios), and active and long running queries. Once you decide on these metrics, you need to have a daemon that periodically collects these metrics, a solution to serialize and store these metrics, and a visualization layer to display them. A common stack that accomplishes this can run collectd on database instances, Graphite to store them, and Grafana to display them. If you’re thinking of setting up a monitoring infrastructure for PostgreSQL, two good resources to read are Compose’s blog post on monitoring PostgreSQL and Sebastien’s presentation at PGConf.EU on Watching Elephants. It’s also worth looking at projects that take a more PostgreSQL centric approach to monitoring, such as PgBadger and pganalyze. Naturally, setting up a monitoring and logging infrastructure for a distributed RDBMS requires more effort than a single node one. In this case, we were lucky to have pganalyze’s author as part of the Citus Cloud team. We also only needed to provide this only on the AWS platform and that helped us deliver production-grade monitoring much simple. Most PostgreSQL power users have three more questions when it comes to running their database in production: configuration, deploying security and bug fix patches, and upgrading a database to a new version – preferably with no downtime. If you have a solid DBA, they are already turning these knobs for you and deploying new versions without you knowing about it. If you don’t, The Accidental DBA tutorial provides a good introduction on these topics. That said, you will need to keep on learning more as your database’s scale increases. And with bigger scale, tuning the right settings in postgresql.conf, deploying patches, and upgrading to newer versions will become more important and require deeper database know-how. Providing a database on the cloud significantly helps deploying patches and new versions – since Citus Cloud has hundreds of these machines running in production, we can automate how to deploy new versions in the way they should be. Citus Cloud can also override certain postgresql.conf fields by examining the underlying hardware configuration and workload characteristics. When we started Citus, we used to think that databases were about databases and we just needed to scale out the RDBMS. After talking to hundreds of customers, we realized that databases were also about native integration with applications, use cases, and operations. At Citus, as we provided better integration with PostgreSQL drivers and tools, and focused on use cases, we started hearing more questions on the operational components. The seven questions above became part of everyday conversation. And answering these questions without offering costly services and training work was hard. When a prospective customer asked us about how to handle failover without changing IP addresses, take automatic backups, integrate with monitoring and logging tools, upgrade their PostgreSQL version with no downtime, or elastically scale out their cluster by adding more machines, we’d tell them about the work involved. In fact, there were calls where we quoted $300K for the services work, and never heard from that user again. That’s the really exciting part about Citus Cloud. These days, when we hear the same questions, we smile and ask our users to simply click a button. Behind the covers, Citus Cloud deploys a production grade distributed database, one that natively integrates with PostgreSQL. What was once only accessible to large enterprises with solutions such as Oracle RAC, is now becoming accessible to everyone with open source technologies like PostgreSQL and Citus, and the cloud.